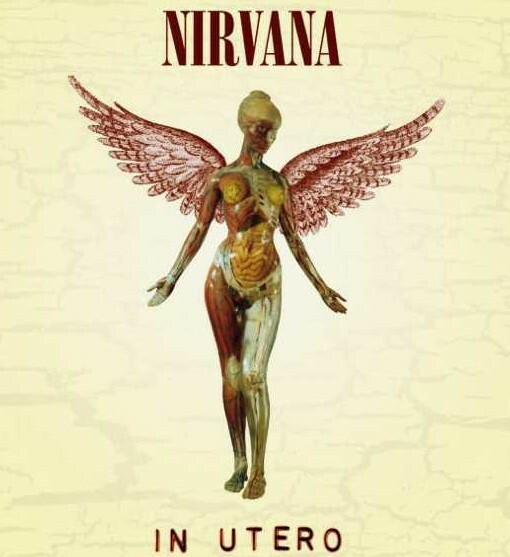 It’s hard not to envision In Utero as a “tragic” album, either because it’s too connected to Kurt Cobain’s death less than a year after its release or simply because it’s willfully difficult, and most Nirvana fans would agree on both. Most post-Nevermind fans of the band couldn’t give two shits about punk rock prior to 1991, so once 1993 came around, no one was really prepared to contemplate, let alone accept, what it was that Nirvana was trying to do. So let’s do a little compare and contrast. Nevermind hit well with the masses for many reasons, most of all because it’s a solid rock record. 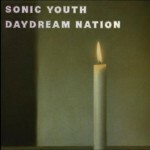 It’s a reasonable baking of Cobain’s stellar songwriting, Krist Noveselic’s fluid bass work, Dave Grohl’s machine gun drumming, easily digestible angst by the tankload and Butch Vig’s masterful ears that took all that was achieved by Hüsker Dü and The Pixies in the decade prior and made Poison irrelevant in one fell swoop. It’s anthemic, it’s pretty, it’s angry without being hostile, it’s wedged permanently in a set time and place for an entire generation to greedily claim as its own. It’s also inexplicably linked to Seattle, a scene that, aside from their connection and mutual respect for Mudhoney and The Melvins, they had nothing to do with. In Utero is then, a bit dubiously, admired for this one reason: it’s a punk record. The key ingredient? Steve Albini. At that time, Albini was more known for being the truest of the true when it came to aggressive music. He also hated Nevermind, and with that in mind he dowsed Butch Vig’s slick polish job with a barrel of battery acid. Albini’s studio work remolded Nirvana as an actual rock band. Kurt’s guitar playing, though still coherent, shrieked and droned as opposed to echoed and harmonized. His vocals were hoarse and even more indecipherable than ever. Noveselic and Grohl’s rhythms were reduced to neanderthal crashes and thuds. It was at the same time more primal than Tad and more articulate than Pearl Jam. What continues to keep my respect for Nirvana however is how Cobain, despite or because of what he was going through, was able to prevent himself from becoming self-parody, which would not have been hard to do. The key evidence is in his lyrical maturity. While there were some moments of profundity and iconoclasm in previous efforts, those were constituted mostly of last-minute jumbling that stung themselves together via Cobain’s ability to make sweet chords. In Utero‘s lyrics are more linear and complete. Cobain’s wordplay can delight, his acidic sarcasm can amuse, his references to medical and anatomical terminology can rival Carcass. And his more emotional moments trump the sincerity of “Something in the Way” twentyfold. In Utero can either be a black hole or an audible question mark. While most see it as the former, and I don’t blame them, I personally prefer the latter. I saw an artistic rather than personal crisis being worked out. There’s no doubt that Albini enabled Cobain’s more artistic sensibilities and it’s very possible that he would continue to pursue that even at the cost of Nirvana’s very existence. Whether such a move would have been worth it is hard to say, it certainly would have been interesting, certainly better than what we have instead.